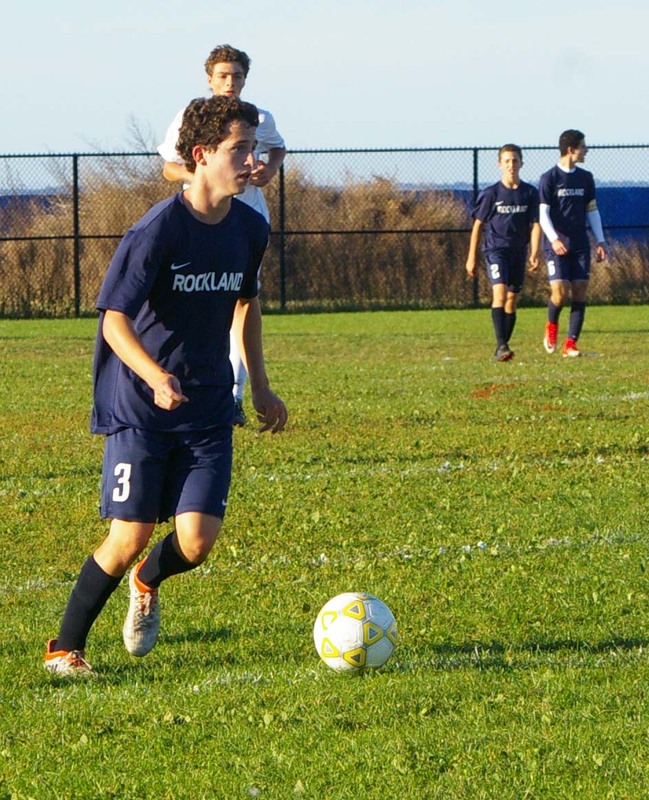 As the summer break and captains practices came to an end, the boys varsity soccer team had one, primary goal. That one goal for the Dogs was to make the state tournament for a fifth consecutive season. That is exactly what they did. In their last game of the season, the Dogs found themselves in a must win situation. Needing two points to qualify for the state tournament and to accomplish their primary team goal, the Dogs had to defeat the Hanover Indians. Down 1-0 at halftime, the Dogs regrouped and surged back in the second half to win 2-1 after senior captain Jonathan Alvarenga scored on a penalty kick. “Beating Hanover on their senior night was our signature moment. We played that game with our backs against the wall, knowing that we needed to win to qualify,” said Kimball. Senior Matty O’Brien was a steady influence on the team this year and was selected as an All-Star. Through many ups and downs as the season went on, the Dogs were ultimately able to qualify for the state tournament for a fifth consecutive season. The team had to learn how to battle through adversity early on as injuries began to take their toll on the team. Headlining the injuries list was senior captain and former league all-star Liam Lenihan. Lenihan was forced to be sidelined for most of the year due to a nagging ankle injury. Although the Dogs were missing a huge part of their team in Lenihan, they did not let it defeat them. Through everything the Dogs remained focused on qualifying for the state tournament. This was what Coach Kimball was most proud of in this year’s team. Heading into the season, many outsiders had questions about the Dogs as they had to replace eight of their eleven starters, including three players who moved on to the collegiate level. 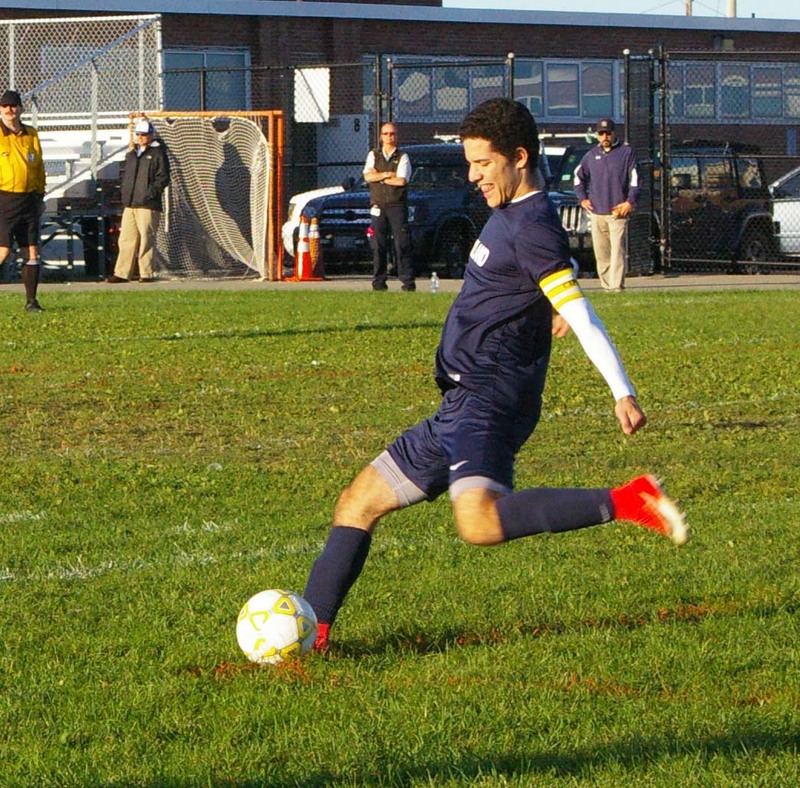 With many talented players coming up to this year’s varsity team, the team knew that there were plenty of players who were more than capable of stepping up. 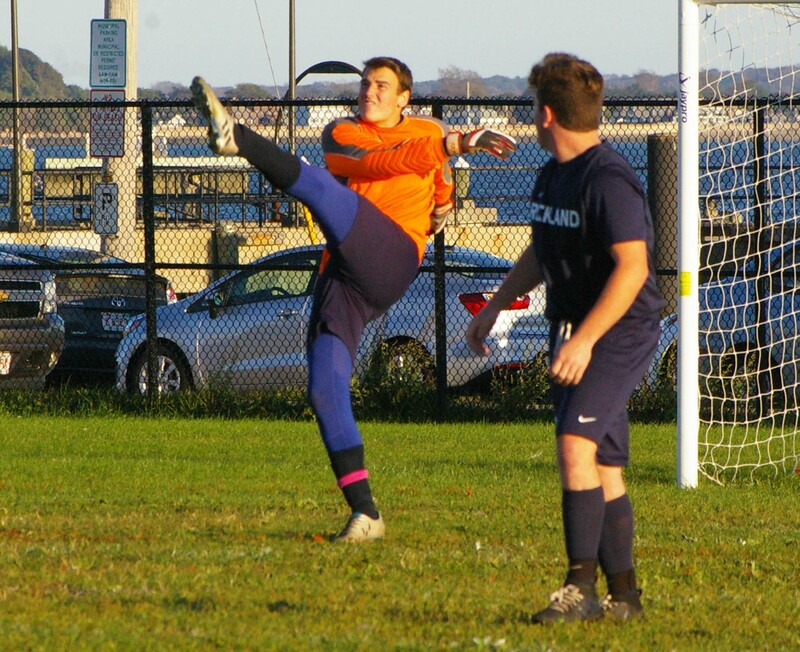 One player who exceeded all expectations, including his own, was senior goalie Joe Campanile. In his first year with the team, and his first ever playing goalie, Campanile was not only the team’s starter but made a case for himself to be a contender for league all star. Another newcomer who excelled this season and rose to the occasion of being a varsity starter was freshman Nick Blonde. Blonde, the team’s unsung hero this season, was a key member of the defense. “As a freshman, Nick started every game and brought toughness and leadership to our defensive unit,” said Kimball. With all the unknowns, and through all the adversity this team had to face, to finish with a 7-7-4 regular season record is something to be proud of. After graduating ten seniors from last year’s historic season, many had written off the Dogs. However, they were able to overcome injuries, tough luck, and the loss of eight starters from the previous season. In the first round of the tournament the Dogs met an impressive Norwell team that went on to win the South Sectional Championship. Although they fought hard and gave everything they had, it wasn’t enough to top the Clippers. Jonathan Alvarenga had a great year for the Dogs and was selected as an Eastern MA. All Star. The Dogs had three South Shore League all-stars this season in Jonathan Alvarenga, Matt O’Brien, and Vitor Santos. Alvarenga was also selected as an EMass all star. With a young and talented roster coming back next year, the Dogs may have the right pieces in place for a sixth consecutive tournament appearance. They’ll hope to build on this season and go even further in their postseason run next year.